On March 28, 2019 the Human Frontier Science Program (HFSP) announced that a team led by Prof. Jeff Wickens, head of the Neurobiology Research Unit at Okinawa Institute of Science and Technology Graduate University (OIST), has been awarded a highly competitive three-year Program Grant. The team includes researchers from the United States, Israel and Japan who will use the one million USD over the next three years to study acetylcholine and dopamine, brain chemicals important in memory and learning. 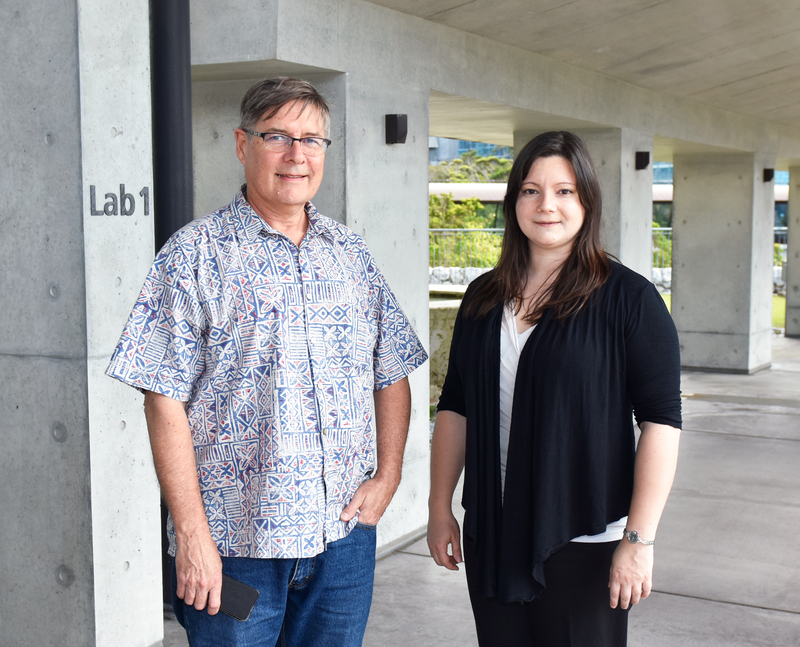 Professor Jeff Wickens and postdoctoral researcher Julie Chouinard, are both in the Neurobiology Research Unit at Okinawa Institute of Science and Technology Graduate University (OIST). To Wickens, the grant is more than funding, it is fostering a new line of research through a unique collaboration. The team of three all bring in different expertise for the experiments. Dr. Lin Tian of University of California, Davis, is designing and creating the new sensors, and Dr. Joshua Goldberg of The Hebrew University of Jerusalem is developing a mathematical model based on his measurements of cell firing activity, which helps predict dynamic patterns when the chemicals interact. Wickens will be developing behavioral tasks, together with OIST postdoctoral researcher Julie Chouinard who worked on the grant, and visualizing the chemical patterns occurring in the brain. A unique component of the research is the use of virtual reality to control what the mice experience. Virtual reality allows changes to the environment at the click of a button, without disturbing the animal. HFSP grants fund research in life sciences. The program is based in France and supported by 13 countries and the European Union. This year there were over 800 preliminary proposals that were narrowed to 86 proposals that then submitted a full proposal for the grant, of which 25 were fully funded.